Saudi Arabia gets first spokeswoman – Royal Times of Nigeria. (dpa) Saudi Arabia appointed its first female spokesperson ever at its embassy in Washington, hours after Saudi women were granted the right to drive. “Proud to serve the @SaudiEmbassyUSA as the spokeswoman. I’m grateful for the opportunity, the support, and well wishes,” the spokeswoman, Fatimah Baeshen, wrote on Twitter. Baeshen previously worked at the ministries of labour and economy between 2014 and 2017, according to the Saudi-owned Al Arabiya broadcaster. 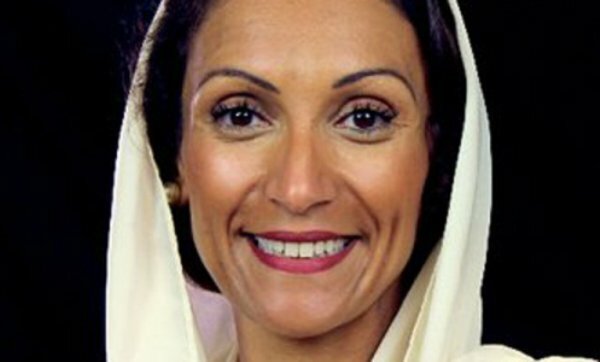 She also worked as a consultant at the World Bank and the Islamic Development Bank. The move, which will go into effect in June, comes after Saudi women and international rights groups have for several years campaigned to lift the ban, which was condemned as a symbol of oppression. Saudi Arabia is dominated by the puritanical Wahhabi school of Islam, but the kingdom has been introducing slow-paced change. Saudi women were allowed to vote and run as candidates in the municipal elections for the first time in 2015. King Salman recently ordered an end to the long-standing guardianship rule, which denied women access to government services if they did not have a male relative’s consent. However, women continue to require a male guardian’s approval to travel abroad or get married.